Are you a teacher from a primary school looking for music enrichment programmes by AMIS (Art and Music Instructor Scheme) instructors? 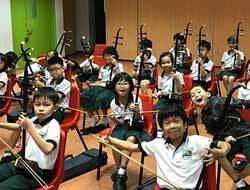 Eason Music conducts various music enrichment programmes in primary schools with an emphasis on Chinese musical instruments. 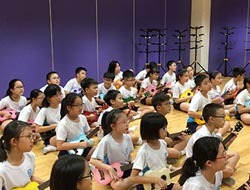 These enrichment programmes not only gives an introduction to Chinese culture, but also allows the school to select students with potential to join music CCAs such as Chinese orchestra or Guzheng ensemble. All our instructors are AMIS certified and have experience as well as expertise in teaching the instruments. 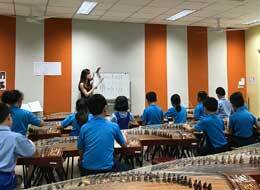 Our music programmes are well planned and thought out to give your students the best learning experience. Browse our current courses below or get in touch with us to tailor make a course suitable for your school’s needs. 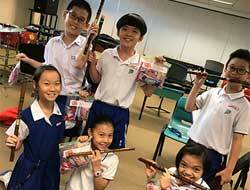 Does the school need to have their own instruments? Lessons ranges from 8-12 depending on your needs and requirements. Will the classes be conducted in English or Chinese? Even though the instruments are Chinese traditional instruments, the lessons will be taught in English unless requested otherwise. Are you music instructors AMIS registered? Yes! The instructors going to your school will be AMIS registered.